Fall is an exciting time of year. Not only do the hot temperatures cool off, but it means the holiday season is right around the corner. However, it’s also a sign that it’s time to show your house a little love. When fall rolls around and provides a welcome respite from the heat of the summer, you might be tempted to sit down and kick your feet up. But before you relax, you should take the time to tackle the following home maintenance tasks. After the majority of the leaves have fallen, you’ll want to take the time to inspect and clean out your gutters. While you’re up on a ladder, take a few minutes to inspect your roof. Look for warning signs that the roof is deteriorating or leaking. Signs that something is wrong include: buckled shingles, rust spots on flashing, cracked or missing shingles, sagging, and algae staining. You won’t be needing your irrigation system during the winter months, so there’s no sense in leaving it on. Doing so could cause even the deepest buried irrigation lines to freeze and burst. To drain your sprinkler system, start by turning off the water to the system at the main valve. You should then shut off the automatic controller and open all drain valves to remove water from the system. Find any above-ground sprinkler heads, remove them, shake out excess water, and replace. If you happen to have an older system that doesn’t contain drain valves, you can hire an irrigation professional in your area to blow out the systems with compressed air. The cost is far cheaper than replacing a busted pipe. One of the major drivers of utility costs during the fall and winter months is heat loss through windows, doors, and other openings in the home. There’s nothing better than lighting the fireplace on a cool day and enjoying the natural warmth. However, before you turn on your fireplace, it’s imperative that you give it a once-over to make sure it’s safe and operational. Grab a flashlight and shine it up your fireplace flue to be sure the damper opens and closes. You’ll also want to make sure it doesn’t have any unusual obstructions, such as animals, birds’ nests, branches, or excess soot. Also keep an eye out for missing bricks, chipped mortar, or other damage. If you spot anything out of the ordinary, it would be wise to call in a professional to address the problem. A quality-built home can last for centuries, but you can’t neglect it over the years and expect it to hold its value. Keeping it in tip-top shape requires some TLC and attention to detail. 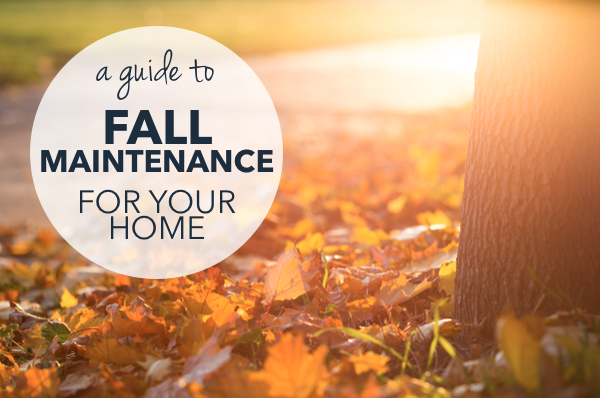 Whether it’s spring, summer, winter, or fall, there are plenty of seasonal maintenance tasks ready to be tackled. What will you start with?